Attila is an opera in a prologue and three acts by Giuseppe Verdi to an Italian libretto by Temistocle Solera, based on the 1809 play Attila, König der Hunnen (Attila, King of the Huns) by Zacharias Werner. The opera received its first performance at La Fenice in Venice on 17 March 1846. Ezio's act 2 aria of heroic resolution È gettata la mia sorte ("My lot is cast, I am prepared for any warfare") is a fine example of a characteristic Verdian genre, and it achieved fame in its own time with audiences in the context of the adoption of a liberal constitution by Ferdinand II. Other contemporary comment praised the work as suitable for the "political education of the people", while, in contrast, others criticised the opera as "Teutonic" in nature. Verdi had read the ultra-Romantic play in April 1844, probably introduced to it by his friend Andrea Maffei who had written a synopsis. A letter to Francesco Maria Piave (with whom he had worked on both Ernani and I due Foscari) had included the subject of Attila as opera number 10 on a list of nine other possible projects, and in that same letter, he encouraged Piave to read the play, which musicologist Julian Budden describes as having "sprung from the wilder shores of German literary romanticism [and which contains] all the Wagnerian apparatus - the Norns, Valhalla, the sword of Wodan [sic], the gods of light and the gods of darkness." He continues: "It is an extraordinary Teutonic farrago to have appealed to Verdi". But, as Attila was to be the second opera Verdi would be writing for Venice, he appears to have changed his mind about working with Piave as the librettist and then convinced him to relinquish the project, seemingly preferring to work with Solera, who had been his librettist for both Nabucco and I Lombardi, two operas which employed the format of large choral tableaux and something which the librettist was prepared to re-use for the new opera. No clear reason for this change seems to have emerged, except that Baldini speculates that, in returning to Solera, he was more comfortable working with a librettist who was more suited to "sketching epic sagas and historical-religious frescoes. Solera's approach to the project was to emphasize an appeal to Italian, specifically Venetian, patriotism, while ignoring many of the elements of the play. These included reversing the order of key scenes and, in the case of the opening scene showing the foundation of Venice, totally inventing it. But the pace began to slow as, firstly, illness limited the composer's ability to do much work. Then came the second blow: Solera left the project altogether and followed his opera singer wife to Madrid where he became director of the Royal Theatre, leaving only the draft sketch of the third act. As things turned out, Verdi returned to Piave for the completion of act 3 - with Solera's blessing. However, the relationship between composer and the new librettist worsened in a variety of ways, especially over the use of stage bands in the context of the composer claiming to think in terms of his work being a grand opera: "Aren't Guillaume Tell and Robert le Diable grand operas? Yet they don't contain a band." And the differences between Piave's version and what Solera (who received a copy of Piave's act 3) had originally conceived were so great as to cause a final rift between Verdi and his long-time collaborator; the composer's ideas of musical theatre had moved far ahead of his older colleague. Overall, the reception from the press on opening night was not as positive as that from the audience present. As Budden notes, "the Italian public had taken Attila to their hearts" and he adds that the Roman general Ezio's aria - Avrai tu l'universo, resta l'Italia a me ("You can have the universe, but leave Italy for me") - brought forth spontaneous cheers". 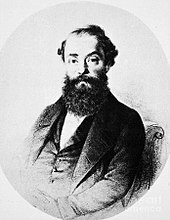 Attila was first produced in London in 1848 by Benjamin Lumley who, as impresario at Her Majesty's Theatre, had successfully presented Verdi's I masnadieri there in 1847. 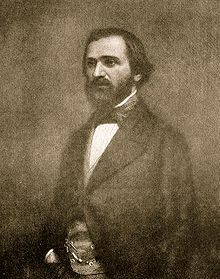 In his 1864 autobiography he notes that "none perhaps of Verdi's works had kindled more enthusiasm in Italy or crowned the fortunate composer with more abundant laurels than Attila. The Attila premiere featured Sophie Cruvelli, Italo Gardoni, Velletti, and Cruzzoni. The opera was first given in New York City in 1850. In the 20th century, it was revived in concert performance during Venice Festival of 1951 with Caterina Mancini, Gino Penno, Giangiacomo Guelfi, and Italo Tajo, under the conductor Carlo Maria Giulini; and at Sadler's Wells in London in 1963 (with an English libretto), with Rae Woodland, Donald Smith, Harry Mossfield and Donald McIntyre, with Muir Mathieson conducting. There was a Rome revival a year later, then productions in Trieste in (1965), in Buenos Aires in (1966), in Berlin in (1971), and in 1972 Attila was performed at the Edinburgh Festival and in Florence. On 21 December 1980, the Vienna State Opera presented a new production conducted by Giuseppe Sinopoli, and staged by Giulio Chazalettes. The cast included Nicolai Ghiaurov as Attila, Piero Cappuccilli as Ezio, Mara Zampieri as Odabella, and Piero Visconti as Foresto. From 1981 onwards the role of Attila was taken up by the American bass, Samuel Ramey, who made his first appearances at the New York City Opera in March 1981 in the opera which had not been seen in the city for one hundred and fifty years. Throughout that decade Ramey "unquestionably rack[ed] up more performances in the role than any bass since its creator" in houses such as La Fenice and San Francisco, finally making an audio recording in 1989 and a video recording in 1991, both under Riccardo Muti. Ramey again appeared in the title role in a production staged by La Scala in 1986 and filmed for DVD release. In February 2000 a concert performance was given by the Opera Orchestra of New York, again featuring Ramey as Attila. In 2007, it was included as part of the Sarasota Opera's "Verdi Cycle". Attila received a concert performance on 8 September 2007 at the Concertgebouw in Amsterdam, with Ildar Abdrazakov, Hasmik Papian, Paolo Gavanelli, and Massimiliano Pisapia. Jaap van Zweden conducted; a recording and broadcast followed. The Metropolitan Opera mounted its first production directed by Pierre Audi on 23 February 2010 conducted by Riccardo Muti, who was making his house debut. Ildar Abdrazakov sang the title role, with Violeta Urmana as Odabella, Ramón Vargas as Foresto, Giovanni Meoni as Ezio, and Samuel Ramey as Leone. Miuccia Prada and the architects Herzog & de Meuron collaborated on costumes and sets. It was presented in September 2011 as part of the Washington Concert Opera's 2011/12 season and was staged by San Francisco Opera in June 2012 in a co-production with La Scala; Ferruccio Furlanetto sang the title role in San Francisco, while Orlin Anastassov sang the role in Milan when the production was first presented there in 2011. The work was presented by Berliner Operngruppe in 2012 in Berlin conducted by Felix Krieger. Attila and his victorious horde are surprised to see a group of women spared as prisoners of war. Their leader, Odabella, asks why the Huns' women remain at home (Allor che i forti corrono / "While your warriors rush to their swords like lions"). Attila, impressed by her courage, offers a boon and she asks for her sword, with which she intends to avenge the death of her father at Attila's own hand (Da te questo or m'è concesso / "O sublime, divine justice by thee is this now granted"). The Roman envoy Ezio asks for an audience and proposes a division of the empire: Avrai tu l'universo, Resti l'Italia a me / "You may have the universe, but let Italy remain mine". Attila disdainfully calls him a traitor to his country. A boat bearing Foresto and other survivors arrives; he thinks of the captive Odabella (Ella in poter del barbaro / "She is in the barbarian's power!") but then rouses himself and the others to begin building a new city (Cara patria già madre e reina / "Dear homeland, at once mother and queen of powerful, generous sons"). Attila awakes and tells Uldino of a dream in which an old man stopped him at the gates of Rome and warned him to turn back (Mentre gonfiarsi l'anima parea / "As my soul seemed to swell"). In the daylight, his courage returns and he orders a march (Oltre quel limite, t'attendo, o spettro / "Beyond that boundary I await you, O ghost!"). However, when a procession of maidens clad in white approaches, singing Veni Creator Spiritus, he recognizes the Roman bishop Leo as the old man of his dream and collapses in terror. Ezio has been recalled after a peace has been concluded. He contrasts Rome's past glory with the current child emperor Valentine (Dagl'immortali vertici / "From the splendid immortal peaks of former glory"). Recognizing the incognito Foresto among the bearers of an invitation to a banquet with Attila, he agrees to join forces (E' gettata la mia sorte, son pronto ad ogni guerra / "My lot is cast, I am prepared for any warfare" ). Foresto's plot to have Uldino poison Attila is foiled by Odabella, jealous of her own revenge. A grateful (and unsuspecting) Attila declares she shall be his wife, and places the unmasked Foresto in her custody. Uldino informs Foresto about the plans for the wedding of Odabella and Attila; Foresto laments Odabella's apparent betrayal (Che non avrebbe il misero / "What would that wretched man not have offered for Odabella"). Ezio arrives with a plan to ambush the Huns; when Odabella comes Foresto accuses her of treachery, but she pleads for his trust. Attila finds the three together and realizes he has been betrayed. As Roman soldiers approach, Odabella stabs him with the sword he had given her. The three conspirators cry that the people have been avenged. Modern day critical reactions to Verdi's music and musical choices varies somewhat, but there is general unanimity as to its principal weaknesses. 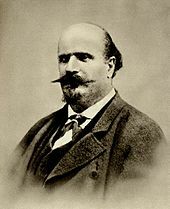 For Baldini, Attila is "one of the weakest scores of the 'galley years'" and he references the contemporary critical viewpoint of Luigi Casamorata who wrote in the Gazzetta Musicale di Milano of 17 January 1847 that, with this opera, Verdi had reached the "apogee of cabalettism". However, Baldini does point to the strengths of the score which include the prologue's dawn over the Adriatic music, the music for the bass in his act 1 scene, and the baritone's act 2 aria as well as the final ensemble in act 3 "which possesses great powers of human communication. As with all of Verdi's early operas, there are impressive individual moments, particularly in those grand ensemble movements that constantly inspired the composer to redefine and hone his dramatic language. Coro voci bianche "Renata Cortiglioni"
^ a b Stamatov, Peter, "Interpretive Activism and the Political Uses of Verdi's Operas in the 1840s" (June 2002). American Sociological Review, 67 (3): pp. 345–366. ^ List of singers taken from Budden, p. 244. ^ Described in the score as Saint Leo. ^ "Attila". Naxos.com. Retrieved 15 June 2014. Kobbé, Gustav (1976). The Complete Opera Book. New York: G.P. Putnam's Sons. pp. 531–534.